Girls have a one hour long classroom lesson each week, focusing on practical participation, exploration and appreciation of music, and developing confidence. Students improve their knowledge of the elements of music, and gain a deeper understanding of the concepts of music through analysis, listening, research, performing and composing a wide variety of music. Girls are exposed to everything from Elvis to Pachelbel’s Canon. Music GCSE (graded 9-1) includes analysis of eight set works from different musical periods and cultures including; musicals, film music, classical hits, pop and world music. Use and understanding of the musical elements, historical contexts and musical vocabulary are developed through analysis, composing and performing. 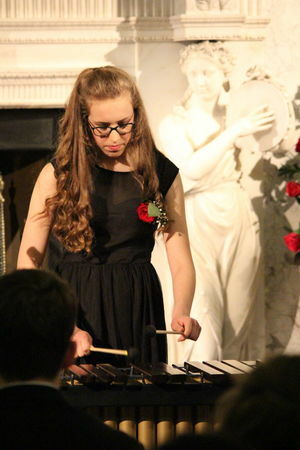 The development of performing and composing skills represents 60% of the total examination mark. Assessment consists of a listening and appraising written paper based on the set works studied, and submission of performance and composition work recorded in the second term of Year 11. 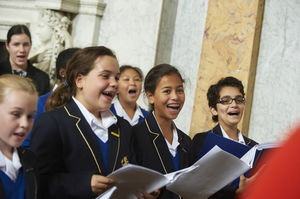 It is recommended students hold a minimum of ABRSM (Associated Board of the Royal Schools of Music) Grade 3 or equivalent in order to fully access the Music GCSE curriculum. This qualification will support students in forming personal and meaningful relationships with music through the development of musical knowledge, understanding and skills, including performing, composing and appraising. 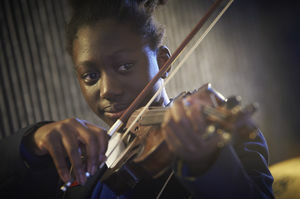 Students will be encouraged to engage critically and creatively with a wide range of music and musical contexts, develop an understanding of the place of music in different cultures and contexts, and reflect on how music is used in the expression of personal and collective identities.